Home Eco Friendly Guide	The Cavendish banana on the brink of extinction! The Cavendish banana on the brink of extinction! While on one hand, 95 per cent of UK households buy bananas every week, on the other, the fruit may move down the road to extinction soon! 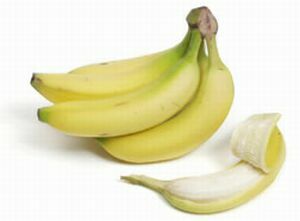 Biologists fear that the Cavendish banana, sold widely in Britaish shops may disapper completely. But, what is leading to this devastation? The scientists discovered several deadly predators responsible for the widespread stalking. The black Sigatoka fungus is one of them. This widespread devastation may severely attack the world’s main plantations in Latin America and Asia. And this, eventually may increase the price of Cavendish to a massive level. The problem with this variety is that Cavendish is sexless, seedless and sterile. Thus, growing plants from identical cuttings and not seeds can only breed it. ← Good news: Ozone hole may disappear in 45 years!